City Oil Co. Inc. Service Area - City Oil Co. Inc. When you are on the job and suddenly need a certain kind of fuel it can be a frustrating situation. These situations can vary from construction projects, to transportation companies, or emergency situations where your suddenly in need of diesel fuel for generators, pumps, and much more. At City Oil Co. Inc. we are proud to offer immediate delivery of on-road and off-road diesel fuel, gasoline, and heating oil, to construction sites, and fleet fueling. We are able to dispense fuel directly into construction equipment, storage tanks and more to keep operations moving. Many times a construction site, or other project, will be moved from one location to another. This need not interrupt delivery of fuel needed to keep things operating. One of our specialties is reliable ‘On Site Construction Fueling’. In this operation, we are dispensing on-road or off-road diesel fuel into equipment, vehicles and other machinery. This makes it possible for a project to avoid a shut-down due to suddenly running out of fuel. Another of our specialties is ‘On site Fleet Fueling’. This means dispensing diesel fuel directly into fleet equipment and vehicles from our truck. This includes things such as box trucks, vans, tractor trailers and other vehicles. In this capacity we service all types of transportation companies from general freight to recycling, garbage and more. At City Oil Co. Inc we are happy to install above ground pumping equipment and fuel tanks for both construction sites and customers’ commercial yards. Tanks are available from 275 to 3000 gallons with standard 110 Volt or 12 Volt Pumps. These tanks make it possible to have scheduled fill-ups and avoid ever running out of fuel. The use of diesel fuel, gasoline, heating oil and kerosene is well known. However, fuel additives such as Deicer, Cetane/Octain Improvers, Cold Flow Improvers and others are also available. We offer Premium Diesel Fuel which is pre-blended with these type of additives. additives protect the diesel from cold weather problems such as freezing, and other problems such as algae growth. DEF (Diesel Emissions Fluid) is actually a chemical sprayed in the exhaust of a Diesel Vehicle. It breaks down exhaust and reduces emissions (this is a requirement in newer Diesel vehicle production). We offer DEF in large or small quantities in various packaging, and fleet fill with your specialized DEF delivery system. During our 25 years in the business, we have developed an accurate and dependable method of quickly processing orders, managing product inventory, and dispatching deliveries. 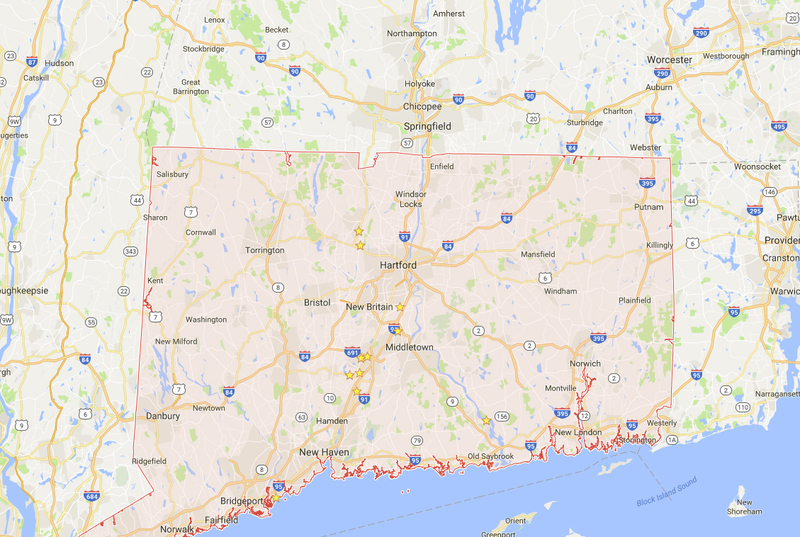 Our reliable services provide our customers with the confidence in our ability to deliver at any location in Connecticut, Western Massachusetts and the surrounding area quickly and efficiently. Whether you need an emergency fuel delivery or are on routine delivery program, you will always find we are conscientious in being sure you are not inconvenienced in any way. All of our work is performed to the highest environmental and safety standards to keep our customers worry free. We are happy to custom schedule for individual needs. This means that, if you need fuel at any hour of the day or night, we can deliver. We are well known through the industry for our dependability, being on time, and providing a fast and dependable delivery service. The success of any job depends on the ability to complete it quickly and efficiently. This cannot happen when all work comes to a halt for lack of fuel. Do not let that happen to you. We will be happy to keep you supplied with the fuel you require to keep your equipment running. This allows you to move on to important things such as a project completion date or whether the project needs more financing. If you are not already one of our customers and are operating in the in Connecticut, Western Massachusetts and the Surrounding Area give us a call today at 800.581.0000 or fill out an on-line order at https://www.cityoil.net. Whether you are a large or small operation, we, at City Oil Co. Inc. are here to serve you and provide only the best in on-road or off-road fuel delivery.